Love it! Where do you find these?! I love (LIKE) totallytarget on Facebook. MERRY CHRISTMAS!!!!!!!!!!!!!! Too funny. Would love to win! I soooooo need to win this!!!!! I follow you on Facebook too. Hope I win! Yes, please! Enter me to win. Also like you on Facebook! I “like” totally target on facebook!! pick me! pick me! love love love Target because of you! I already follow you on facebook.. I love getting all your updates!! PICK ME!! I would love to win this giftcard. Thanks for the giveaway. Thanks for the great site and all the hard work! Liked everything I could possibly like!!!! Merry Christmas! 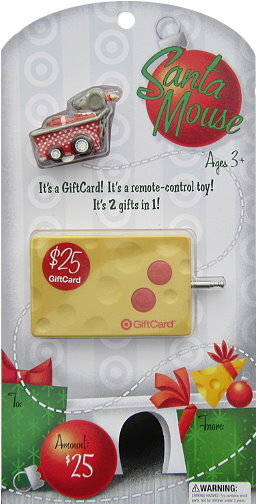 A toy and a gift card – thanks! Already a fan! Happy Holidays!! need target gc towards an ipad! need target gc for an ipad!!! Another cute gift card! where do you find them all!?!? I “like” TT on FB!